An important aspect of an online course is grading assignments and providing feedback. This is especially true in an asynchronous course where there is no real-time interaction between the instructors and students. Once a student completes a learning activity, the instructor teaches via the grading of the assignment and provides clear and helpful feedback to the student. A rubric is one of the most popular grading and assessment tools. Expectations – In addition to goals, students need to know what is expected of them. A clear rubric creates an understanding between the instructors and students and minimizes miscommunication between them. Grading Consistency – Because online students are not communing in one classroom, some online courses may have larger enrollment numbers than their brick-and-mortar counterparts. Consequently, there may be more than one grader for any given assignment. A set rubric guarantees consistency and fairness for all students. 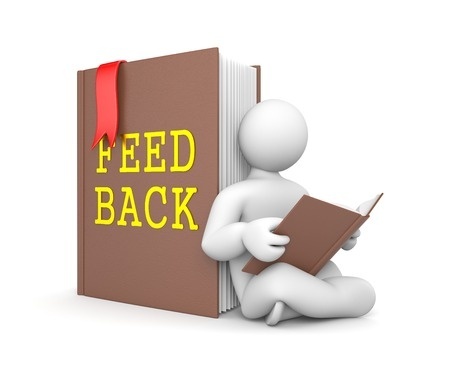 Detailed Feedback – A strong, objective based learning assignment should enable a student to know what concept areas he has mastered and where he needs to improve. Since a rubric outlines why a student received a specific grade, that personalized feedback can guide him to do better on the next assignment and in the course in general. Online Discussions – A major component of most online courses is the discussion board. While it is meant to mimic the class and conversation of a traditional learning environment, it is also a graded assignment. Rubrics can reign in the subjective nature of a adding to a discussion board as well as grading it by providing guidelines for the students and the instructor. RubiStar – This is a free online tool which allows you to customize rubrics for any course or assignment. It provides users with a general rubric which can be personalized through its easy-to-use user interface. Users can also select customized rubrics which were created by other instructors. Rubrics for Online Course – This website, powered by Northern Arizona University, provides examples of rubrics which are specialized for online courses. These provide a fantastic framework for instructors when they are creating rubrics for their classes. Blackboard Rubrics – This LMS allows instructors to create rubrics inside of the course and directly attach it to any assignment. Instead of attaching a rubric from a different source, such as a PDF, an instructor can fill out the rubric online while he is grading the assignment. The rubric is automatically shown to the student, all within the LMS, so that he knows where to improve. Blackboard also provides instructions and a tutorial explain how rubrics work and how to best use them in the LMS.